Soft donuts from Kinnikinnick: I mentioned these a few weeks ago at the blog, and they are as good as advertised. The yeasted (not cake) donuts come with vanilla icing packets to top your pastry off. These can be ordered online from the company. 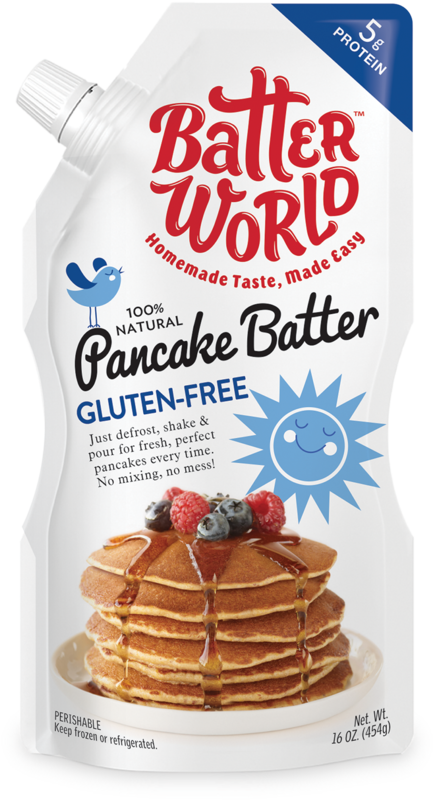 Pancake batter from Batter World: This ready-made gluten-free pancake and waffle batter is sold in the freezer section of markets in California.Just defrost the pouch overnight in the refrigerator, shake and pour onto the griddle or waffle iron. Any unused portions will stay fresh for 10 days. Crispy rice snack bars from Field Day: These organic and certified-gluten-free Rice Krispies-like snack bars come in chocolate and vanilla versions. The Field Day product line, which includes coconut bars and fruit & nut bars, is sold only in independent natural-foods stores. 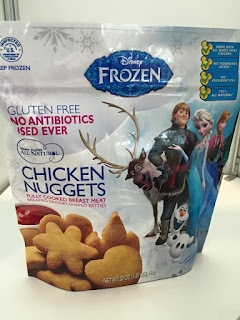 Specially-shaped chicken nuggets from Golden Platter: The company is adding to its line of gluten-free all-natural breaded chicken with themed nuggets featuring Disney's Frozen, the zoo and outer space. Lemon pound cake from Gluten Free Nation: Sold in Texas and online through the company's website, the zesty, moist pound cake is one of several delicious baked goods from this Houston-based gluten-free bakery. Pies from The Maine Pie Co.: A bite of the sprightly lemon curd tart (my favorite item of the show) made by this all-gluten-free baker took me back to my childhood, when I adored Tastykake's handheld lemon pies. The company currently makes nine different pies, from pumpkin to apple to pecan. Currently sold in stores in New England. 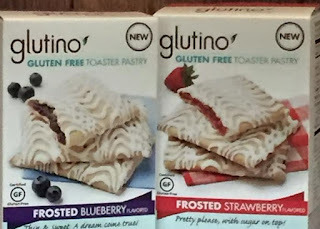 Cheese crackers and toaster pastries from Glutino: Cheeze-It shaped Cheddar and Parmesan cheese crackers join two new toaster pastry varieties. The Pop-Tart-style treats now come in Frosted Blueberry and Frosted Strawberry versions. 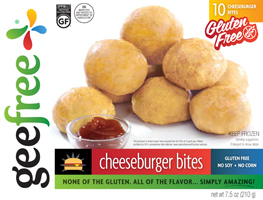 Three-cheese pizza bites from FSI: Not yet available for sale, these Tostino Pizza Bites-style snacks were among the most popular samples at the show. Ravioli quattro formaggi from Pasta Oggi: This upstart Canadian company turns out artisanal stuffed pasta that tastes no different from traditional varieties. The company's products are not yet available in stores but may see distribution in 2016. 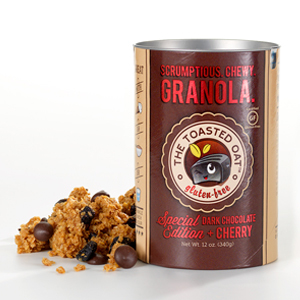 Dark chocolate-and-cherry granola from The Toasted Oat: This manufacturer of moist and chewy gluten-free granola sampled its new special-edition flavor, which currently is available for online ordering and select Whole Foods markets. Grain-free pizzas from Cappello's: At last year's show, this Colorado company showcased almond-flour based pastas. This time around, it was a new line of grain-free pizzas, with toppings like pepperoni and sheep's milk cheese.